Best Silhouette CAMEO Bundles Comparison: Buying Help! 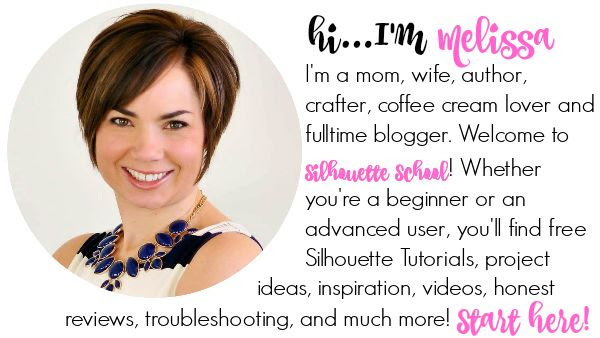 I get questions constantly from new (or soon to be) Silhouette CAMEO crafters about which Silhouette CAMEO bundle is best. 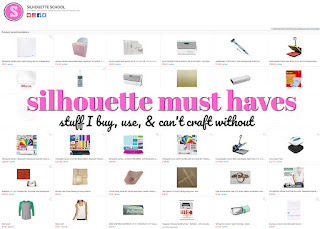 I always respond with the same question: "Why do you want a Silhouette?" Based on that information I can almost always point someone to the best Silhouette CAMEO bundle for them. 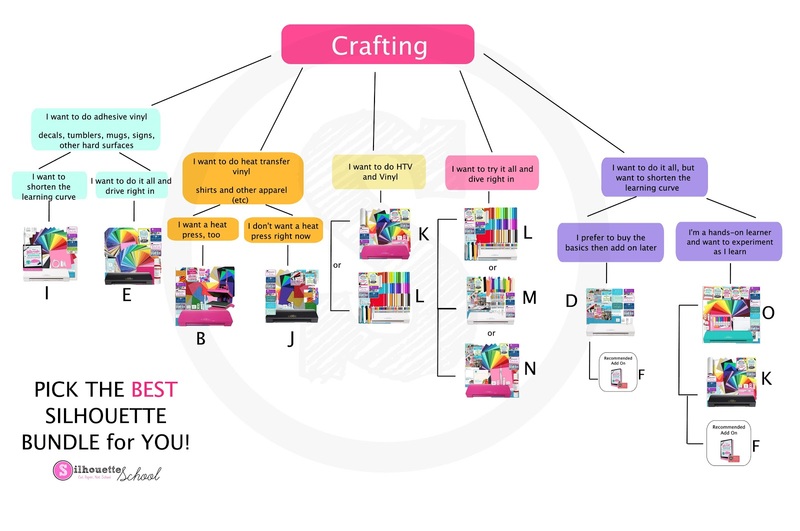 I base my recommendations on the experience level of the crafter, the type of material they want to cut most, the type of learner they are, and if they plan to use their Silhouette machine for small business or crafting. 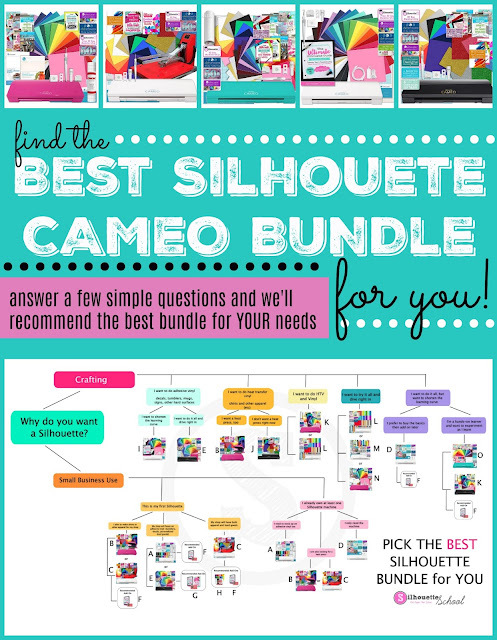 It didn't used to be so challenging to compare Silhouette CAMEO bundles but there are so many awesome options now it can become overwhelming. 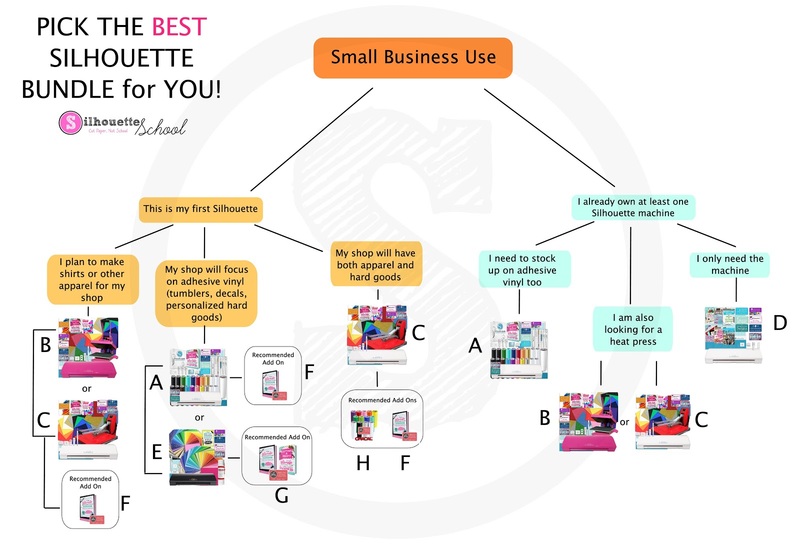 For that reason I decided a flow chart that will allow you to answer a few basic Silhouette CAMEO "needs" and "wants" will help you narrow down the choices. 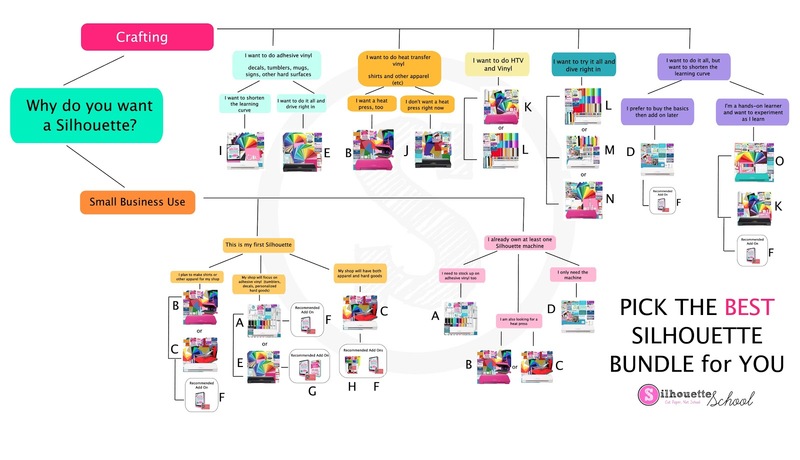 There's a lot of information on the charts and I know it's small so I've provided both the full chart and also broken the Crafting and Silhouette Small Business charts out to enlarge them a bit. You can also click on any of the chart images to enlarge them in your browser window while you find the best CAMEO bundle for you! Then be sure to come back to the list of CAMEO Bundles so you can hop over to learn more or buy it! Once you land on the best CAMEO bundle, simply find the coordinating Silhouette CAMEO Bundle letter in the list below. 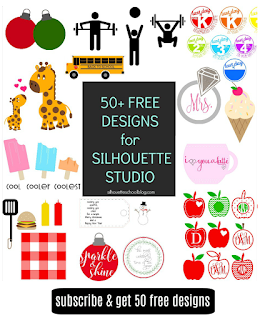 You can click the link to check out more about the recommended Silhouette bundle. 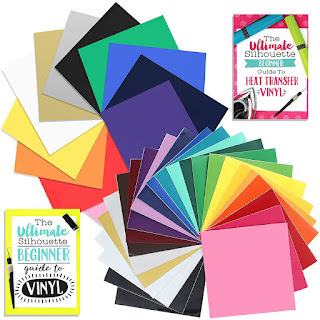 You'll notice that I've provided links directly to the Silhouette CAMEO bundles from Swing Design - the largest Silhouette retailer - and also links to the same Silhouette bundles on Amazon. So why buy directly from the retailer over Amazon or vice versa? There are pros and cons to both. I should mention both offer free shipping and a large selection of bundles to pick from (as evidenced by the CAMEO bundle comparison chart). 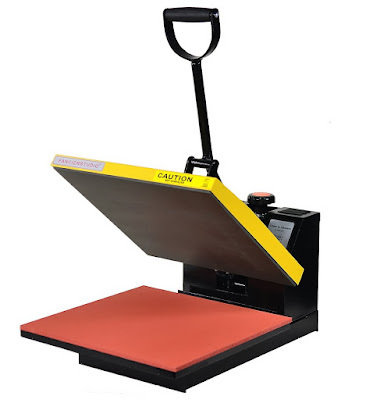 Many times the cheapest Silhouette CAMEO bundles are found directly from the retailer since there's no additional fees for the seller like there would be when selling on Amazon. 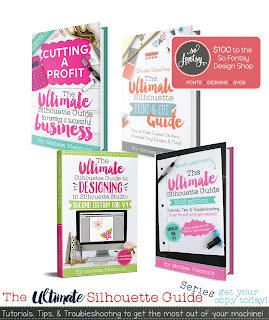 In addition, Swing Design now offers 0% financing which means you can buy a Silhouette CAMEO bundle - or anything from their website - and pay later. 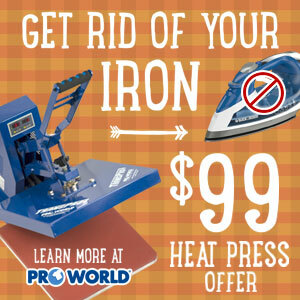 The payments are split into three smaller payments billed beginning 30 days after the purchase. It's a great option that's only available on bundles directly from Swing Design. Often times you can also find different bundles on the retailer's site as opposed to Amazon. The biggest benefit of buying a Silhouette CAMEO bundle on Amazon is some bundles are eligible for 2 day free Prime Shipping. That's pretty much the fastest you'll be able to get one in your hands especially during the busy holiday season where shipping times can sometimes be longer than normal!